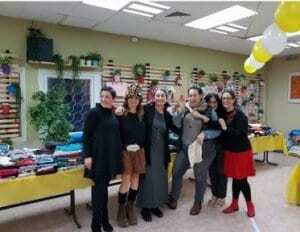 Last November, a group of women from “Mothers With Meaning,” as part of a trip with Masa Israel, visited Meir Panim charity organization’s Dimona branch in southern Israel. The group was so touched by Meir Panim’s good work, as they visited its Holocaust Survivors program, that they decided to arrange a special event for all the city’s residents – including its most impoverished. Rozmaryn explained that just five weeks after their initial visit, the ladies were back in Meir Panim’s center with an event that benefitted not only the charity’s regular patrons of its free Restaurant-Style Soup Kitchen but also the whole Dimona community. 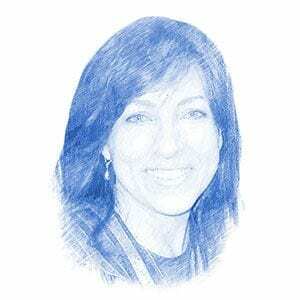 The goal of ‘Mothers With Meaning’ is to make mini communities around Israel comprised of enthusiastic mothers looking to create high impact social projects and unite Israeli society. Their sale idea hit the mark. The women scoured their homes, called their friends and networked in order to collect car loads of second hand clothes and housewares in great condition for the sale. They then worked tirelessly at Meir Panim to set up the sale in an organized and attractive way. The unique point of the sale was that everything was sold from 1-3 shekels (about $0.25-$0.75). In this way, people could get something “new” in an affordable and dignified fashion. In addition, all of the proceeds went toward Meir Panim’s network of social welfare programs. One woman in the group, Smadar, who moved to Israel eight years ago from New York, shared her experience with the project. Finding the event very moving, she said that it is important for mothers to take time off from their work and even their families, to help someone in need. Another attendee, Cherie Lipschitz Albucher posted on her Facebook page, “[This visit was] an emotional roller coaster of self discovery, of the importance and the strength of community, showed me the amazing diversity of the people of our nation, my connection to our history so that we could ensure our future and the definition of my Jewish identity…Everyday we get up, get the kids ready for school, rush to work, come home, washing, cooking…We have food on our tables and clothes for our kids, we have blankets and family and love. But what about those who don’t have all of this?